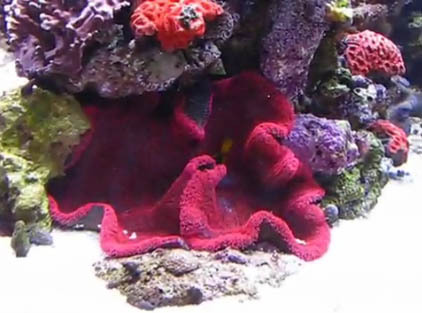 This is a video of Stephen Hurlock’s 1200 gallon reef aquarium about 2 months after setup. The new tank is 10′ long by 5′ wide by 3′ tall. This is an upgrade of the previous 600 gallon reef which was in it’s place. Much of the livestock is from that previous tank as well as harvested from the local Denver CO reef aquarium community. The water is circulated within the aquarium exclusively with 8 Vortech pumps, with only four on at one time working to spin the entire water mass in a gyre-like motion. The vortechs are placed inside a custom designed dry cavity next to the overflow box. There is over 5000 watts of lights, mostly halides with a few VHO actinics. A tour of my BioCube 29 and its 12 gallon refugium. This post is from 2009…..